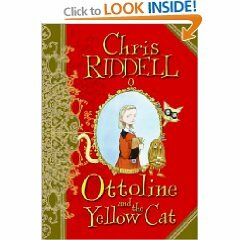 I have been on a hunt this fall for books that fill that niche for the transitional reader. Ones that aren’t too hard or too babyish. 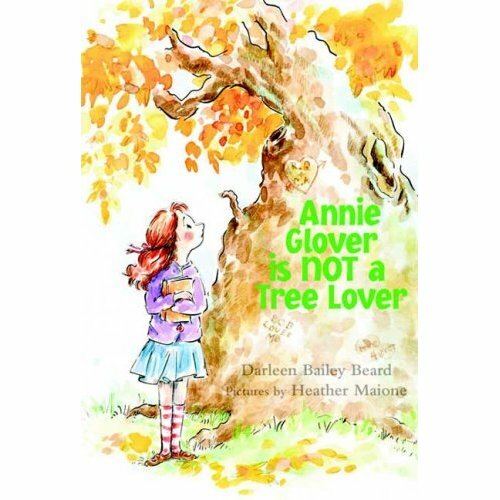 I thought I had found a new winner in Annie Glover is Not a Tree Lover by Darleen Bailey Beard, but unfortunately, I am not a Annie Glover Lover. I would describe this book as one that can be added to a public or school library’s collection that will probably get a fair amount of traffic, but not one to buy for home or a classroom library. I think it will be especially popular at libraries with parents looking for books for their advanced (young) reader without subject matter that is too mature (Fair warning, there are farting Elvises). Is Leroy Kirk “the type of kid who kept an emergency medical kit in his desk and carried his own travel-size box of Kleenex everywhere he went” (p. 8) or the pesky bully? Trying to have him be both is too much for a character in a 120 page book. The illustrations are great by Heather Maione. All I could think about while reading this book is the character Flo from that old TV sitcom Alice. You get the picture. 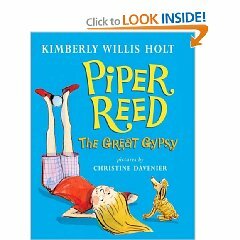 Here are a couple of newer books that have come out that are great for that transitional girl reader. (Transitional can mean many things-here I am talking about the move from being “primary” to “intermediate”) She has grown out of Magic Tree House, wants a thicker chapter book and maybe still needs to have the support of some pictures. My daughter fell into this category. 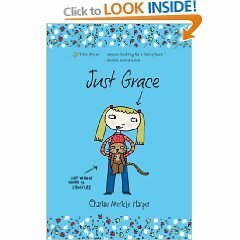 Starting in first grade, it was difficult for her to be able to identify what was a “Just-right” book for herself. She would inevitably pick a book that was too hard! It might even be a great book-just not for her! She would start, but very soon get frustrated and abandon the book, and then pick another one-also too hard! This went on until just recently and she would not listen to any book recommendations I would give her, much less reason! It drove her crazy that we would be at the public library and a student or parent would come up to me and ask for help finding a book. It would drive her even crazier that I would stop and do it. I can’t help myself-I am a book-pusher! If I can match a kid with THE book that will help them fall in love with reading, I am going to do it-no matter the time or place (within reason of course). On the other hand, it drove me crazy that I could help kids all week find books they would love and my daughter would treat my suggestions like something the dog did in the yard. I would occasionally have luck getting her to listen to a book on CD as a way of introducing new authors or characters, but even that was iffy sometimes. She wanted to prove she could read and in her mind that meant thick chapter books-Harry Potter size books, not skinny book like Poppleton, Henry and Mudge, or Mercy Watson? How about…You fill in the blank, I suggested it. Somehow we have moved past that stage (thank goodness!) 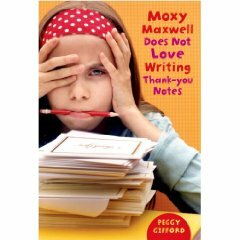 and Maggie’s teacher this year is surprised to find she was so reluctant in the past. The other day I caught her walking the hallway from one class to the other reading a book while walking. She didn’t even notice me standing by her classroom door. I wanted to do a jig seeing her so engrossed in reading her book, but I just smiled to myself, and moved on. Oh Happy Day!